During the iPhone 5 launch event, Apple announced 435 million iTunes accounts (with credit card numbers) with one click shopping. 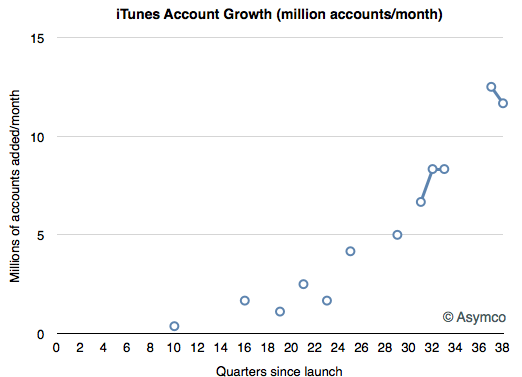 Measuring the growth in accounts shows steady acceleration. The current rate is approximately 12 million new accounts per month. The alignment between the circles and the red line should offer an alternative method of projecting the platform’s growth. Projecting the growth forward would imply one billion accounts in another two years. 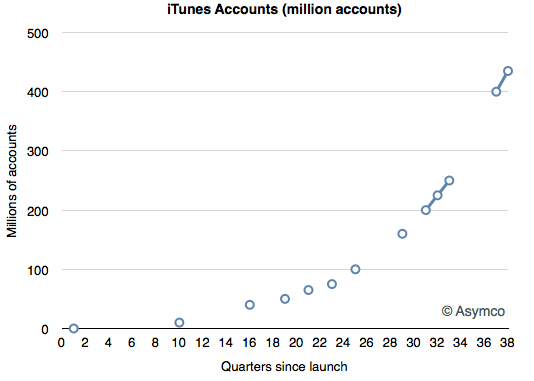 As iPhone and iPads growth increasingly converges with iTunes (of which there are 400 million units sold), the same time frame could apply to iOS cumulative sales. 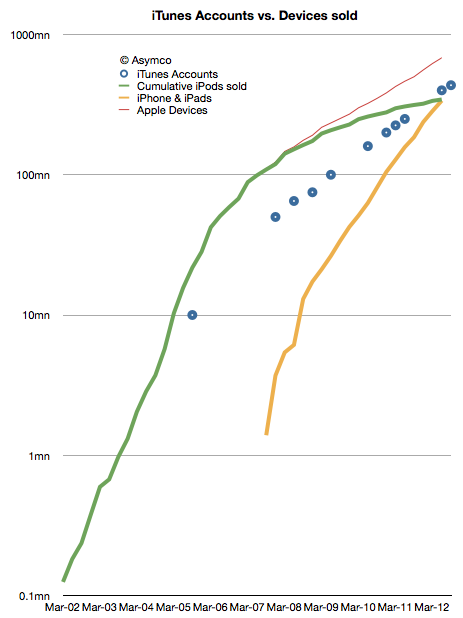 This is not a very precise forecast, but late 2014 to early 2015 could see one iOS billion units sold. › Next Post Is the iPhone good enough?